The Play Your Part Awards recognise inspiring initiatives which reduce children’s risk of experiencing abuse and neglect. Nominations are welcome for activities which contribute to keeping children safe and well whilst helping to build communities in which they can thrive. Through showcasing the stories behind the Play Your Part Awards, we hope to encourage more individuals, organisations and communities to play their part in keeping children and young people safe. Nominations are encouraged for small and large initiatives that are making a difference! 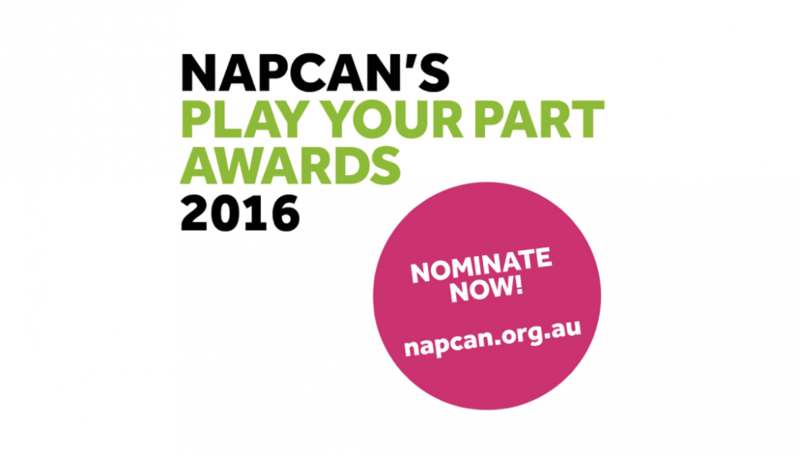 The recipients of the Play Your Part Awards will be announced in National Child Protection Week 4th – 10th September 2016. Please spread the word about the Play Your Part Awards and make sure those making a difference get the recognition they deserve.